Summer is almost here and I couldn’t be more excited about it. I’m always on the lookout for beverage and snack ideas that are delicious and portable. Whether we’re at the beach, by the pool, or at a sporting event, I need quick, easy and yummy eats! 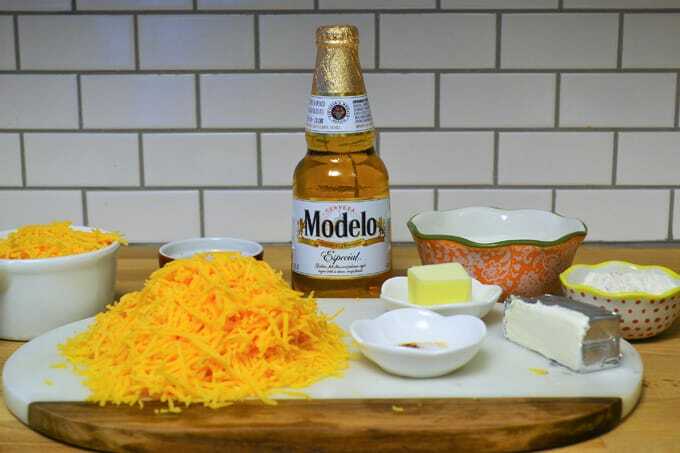 With that in mind, I picked up a six pack of Modelo Especial®, a full-flavored, pilsner-style lager with a crisp and refreshing taste perfect for the warmer months. I wanted to use it to create an easy and delicious appetizer–this Beer Cheese Dip is just the thing! Modelo Especial is “brewed with a fighting spirit”, meaning it’s brewed with time, effort, and determination to create the model Mexican lager. 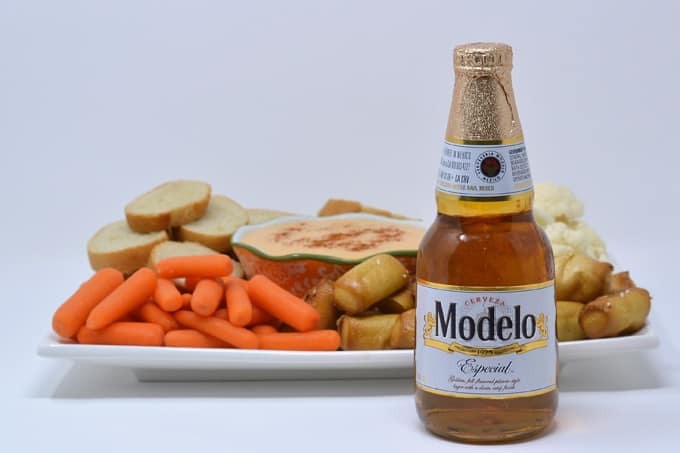 Characterized by an orange blossom honey aroma, with a hint of herb, Modelo Especial is the fastest-growing import beer in America over the past three years. 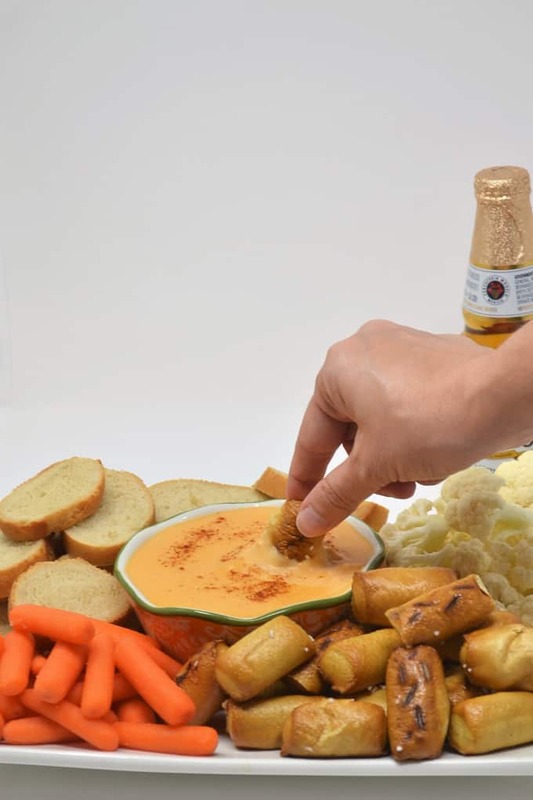 Want to try this Hot Beer Cheese Dip for yourself (you won’t regret it)? 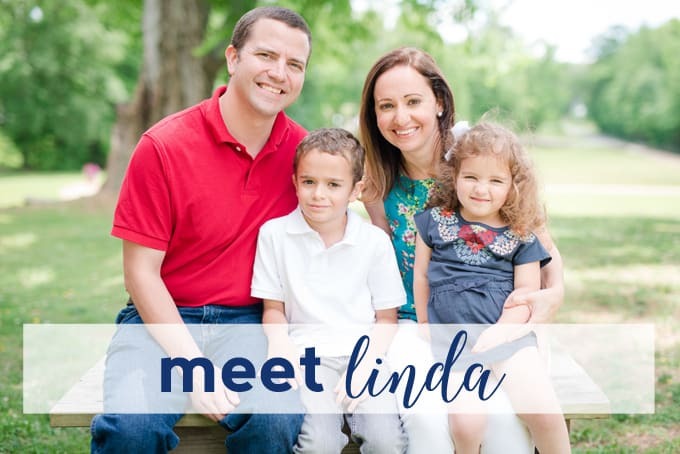 Scroll down for a full, printable recipe card! Beer Cheese Dip is perfect for tailgates and potlucks! This easy appetizer will be loved by all! Melt butter in a small saucepan over medium heat. Add in flour, whisking until incorporated. Remove from heat and slowly whisk in milk until smooth. Stir in beer, mustard, garlic powder, salt and cayenne. Return to heat and stir until thick and bubbling. Remove from heat. Stir in cream cheese and whisk. 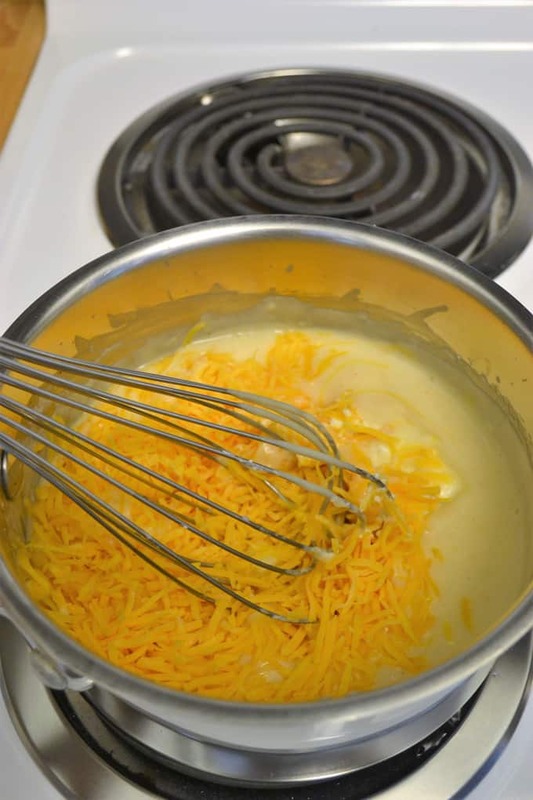 Whisk in cheese, one handful at a time, until all cheese is incorporated. Garnish with extra cayenne, if desired. 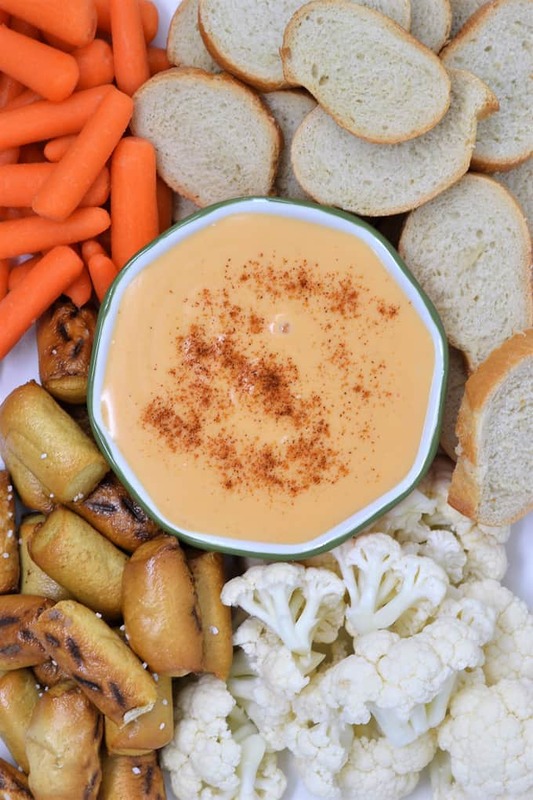 We shared this Beer Cheese Dip with friends during a recent sporting event, and everyone LOVED it! The Modelo Especial added a depth of flavor I don’t think I could have gotten otherwise. 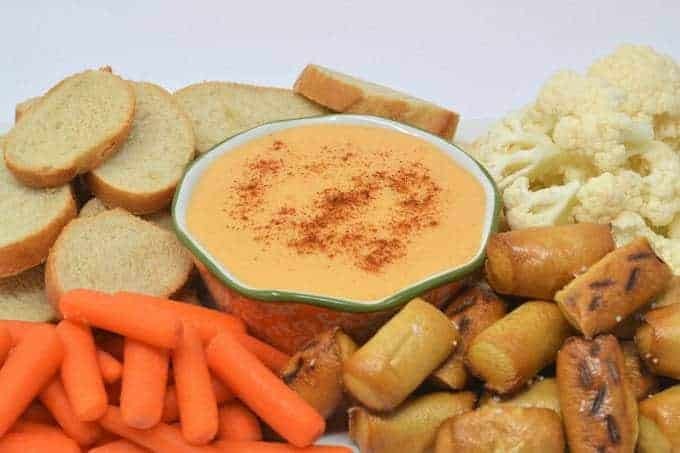 I chose to pair our dip with carrots, cauliflower, pretzel bites and slices of baguette! 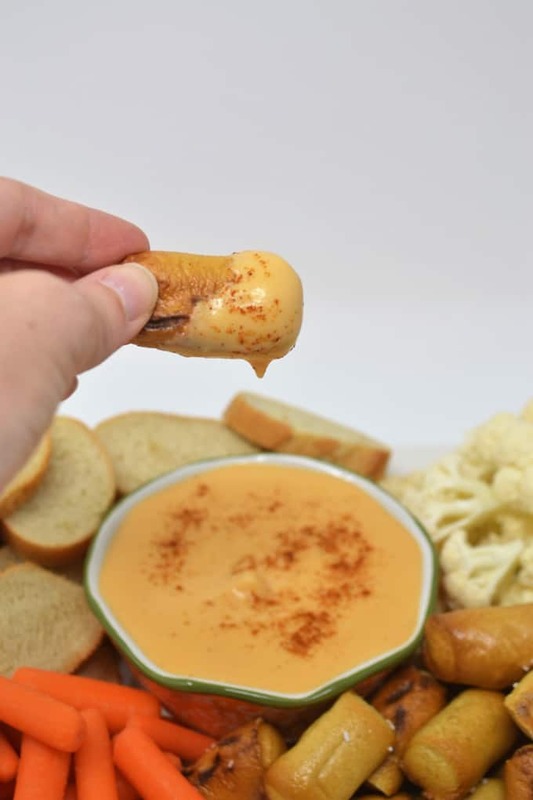 Thanks so much for reading all about our Beer Cheese Dip Recipe! Have a fantastic day!